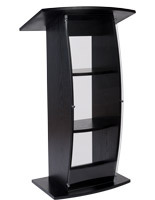 These black wooden podiums make great speaker's stands for offices, lecture halls and other professional environments. 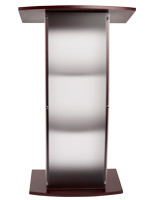 The lecterns feature a contemporary appearance with their dark finish and frosted acrylic front panel. 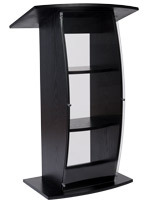 The wooden podiums also offer (2) shelves and (4) adjustable feet for remaining steady. 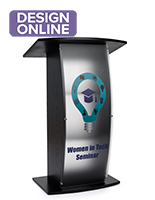 The speaker's stands include (6) stylish silver standoffs for securing the acrylic panel that add to the contemporary look. 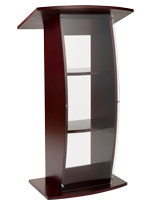 The podiums for the office have a reading surface of 27" x 16" for books, folders, notes and other presentation materials. 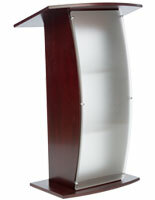 The modern pulpits are also available in a mahogany finish. 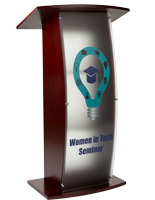 The podium looked good; however, the holes were not aligned good. 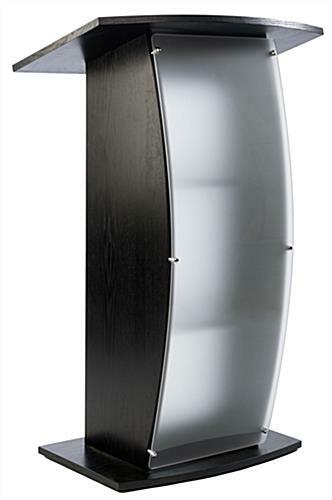 When I tried to align the holes, and tapped it then the bottom right corner screw came out of the wood and the lower corner developed a crack. 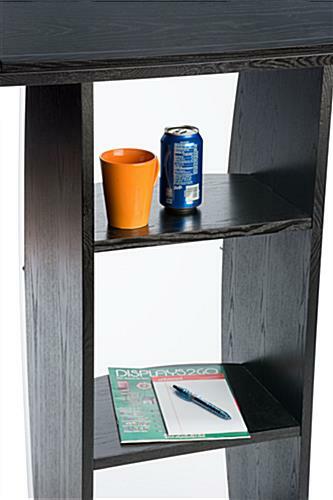 The product is good, but I just decided to keep it. 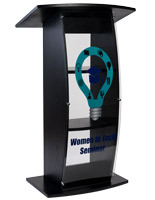 We are sorry that your podium arrived damaged. 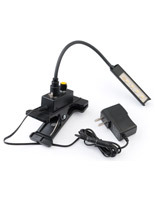 A customer care team member will contact you shortly to resolve your issue.